Cigar #5 has an odd box press-ish shape to it. It is similar to an Oliva Master Blend III, with it’s rounded edges, but not as severely box-pressed at the MBIIIs. So was the just a result of being in Matt’s humidor for a while, or is it the actual shape? This doesn’t help me in identifying the cigar that’s for sure. The pre-light draw is easy and it takes the light well, but gives off a few acrid flavors in the first few puffs. From the first puff, it’s safe to say that I have definitely smoked this cigar before… but that doesn’t help me much. The first cigar gave me the impression I was smoking a Nicaraguan puro, but this one, as well as the second cigar Matt gave me has hints of Honduran flavors in it. So this does narrow down the field a bit, as it’s not a manufacturer who primarily rolls puros. The ash was gray and firm, and held on for quite a while. The flavors in this cigar were a lot more pleasing to me than Cigar #3. This cigar was rich with leather and wood, with a hint of coffee and anise. The flavors were balanced, not overwhelming, in the medium bodied cigar. It wasn’t very complex, but it was enjoyable. So now I have to guess. Yeesh. I must admit I’m a bit stumped here. Nothing has really grabbed me about any of the sticks and indicates one manufacturer over another. I really think these are multi-country blends (except #1), so it’s hard to place a specific profile. Which is why I have to guess Rocky Patel, or someone like that, who has different tasting cigars in many strengths. So if I had to guess the three cigars, I would say #1 is a Vintage 92, #3 is an Edge Maduro and #5 is a RP Decade. I have a feeling I whiffed on this one, we’ll see soon, so stay tuned! Here’s my first review here! Check out Matt’s review for Cigar #2 here! Here’s my review for #3! 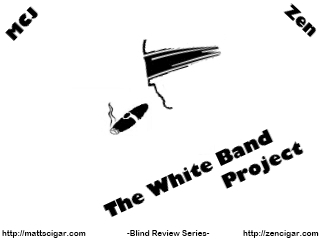 Here’s Matt’s review of the 4th stick in the White Band Project! 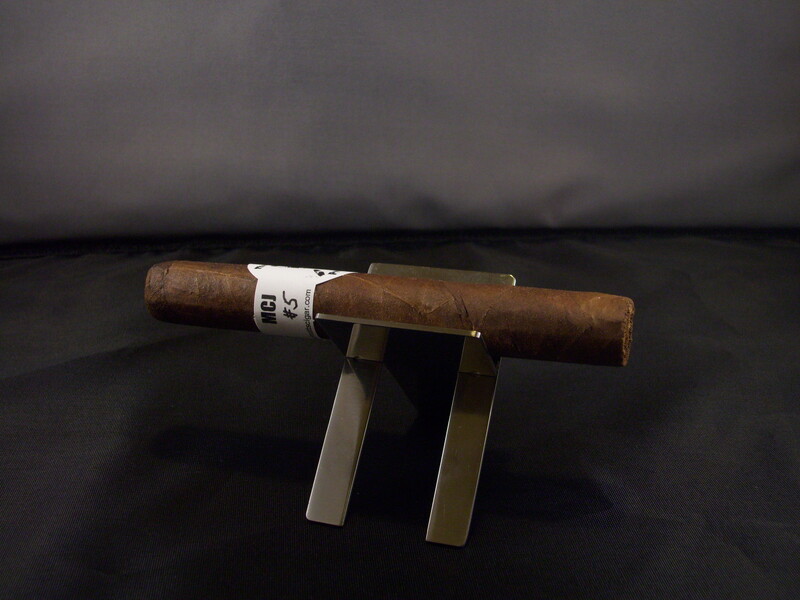 Last, here’s Matt’s review of Cigar #6!